My esthetics background has found me dipping my finger into a lot of natural beauty treatments. However, many products seem to overpromise and underdeliver. That’s why I say forget spending money on commercial, chemically-laden masks. The secret to great skin may be right under your nose! Put these two fruits on your face and see how your skin glows. Dry skin is common, and can occur at any age and for many reasons. For most, dry skin is a temporary condition. Yet, for others, it can be a lifelong struggle. Factors such as cooler months, low humidity, hot showers and harsh soaps tend to cause or aggravate dry skin. The result: flaky, red and tight skin that feels and looks rough. Fine lines become more pronounced and your face develops a gray and ashy tone. The good news is, dry skin responds well to lifestyle and home remedies, suggests the Mayo Clinic. 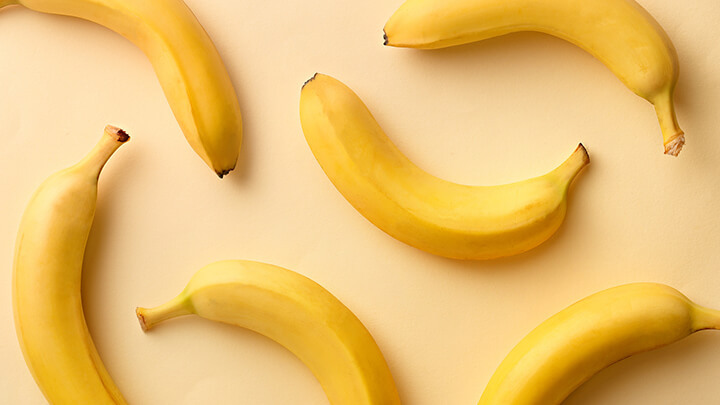 Bananas are great for dry skin and they’re inexpensive and available year-round. Rich in powerful antioxidants, phytochemical and moisture, bananas nourish and revitalize dry, aged skin as well as smoothen rough patches. The vitamin A present in bananas restores lost moisture and helps repair damage caused by dry skin. The tartaric acid in bananas contains antioxidant properties. Lately, my skin has been drier and duller looking than usual. So, what I wanted to feel and see from the banana was noticeably softer skin and reduced dry patches. I mashed a ripe banana in a bowl and applied it on clean skin. I avoided my eyes and left it on for 25 minutes. I experienced a slight tingling sensation, likely due to the tartaric acid found in ripe bananas. Here’s the thing about tartaric acid: it has antioxidant properties and is an alpha hydroxy acid (AHA). These naturally occurring acids are common ingredients in pricey cosmetic products — and for good reason. The chemical compounds help to bind moisture, increase collagen production and improve the overall texture of skin. And, they work best for people with normal to dry skin. After washing off the banana with lukewarm water, my skin felt instantly soft and supple. Dry patches seemed to diminish, the tightness was gone and my overall skin texture was improved. My experience suggests that incorporating a banana facial mask once a week into my skincare regime will help keep my skin softer and smoother. Strawberries made blemishes noticeably drier. Did you know that strawberries contain essential fruit acids (AHAs), including salicylic acid, which are commonly used in expensive skin care products to treat blemishes? In fact, strawberries also contain aspartic acid, which is why strawberry facial masks may just be the best thing for pre- and post-menopausal skin. Aged skin can sometimes develop blemishes due to fluctuating hormones. But it also needs an anti-aging remedy that lightens and fades age spots, plus helps keep the skin fresher and more youthful looking. The alpha hydroxyl acids, including salicylic acid, improve blemishes while also lightening and fading spots and acne scars. Meanwhile, aspartic acid makes a clear difference in the integrity of collagen, according to research published in the British Journal of Dermatology. This means that supplementing your skin with fresh sources of aspartic acid may help keep your skin looking more youthful. 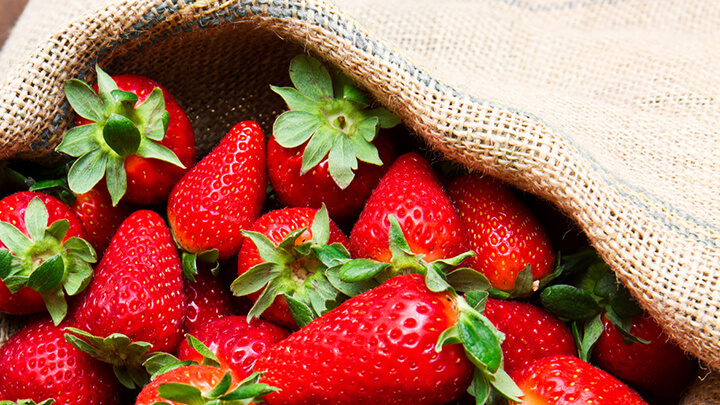 Natural mold spores found on strawberries make their shelf life pretty short. Additionally, I’m not keen on creating a strawberry face mask that incorporates mold. It’s for this reason that I choose to wash my berries, first, in a solution of eight parts filtered water and one part vinegar. Gently stir the berries in the solution, and soak for about 15 minutes. Drain and rinse the berries, allowing them to dry completely before storing in the refrigerator. Believe me, your berries will more than double their shelf life, and you won’t have to worry about eating mold or putting mold on your face. You can add other ingredients to mashed strawberries like lemon juice, which is a natural astringent with antibacterial properties that kills acne-causing germs. Lemon juice also fades acne scars and dark spots. You can also add honey, which draws moisture into the skin and also kills bacteria-causing acne. However, for my strawberry mask, I chose only mashed strawberries for my face. I mashed two ripe strawberries in a bowl and applied it on clean skin. Once again, I avoided my eyes and left it on for 25 minutes. Similar to the banana mask, I felt a slight tingly sensation from the AHAs. After rinsing my face with lukewarm water, I found that any blemishes I had seemed noticeably drier, as if healing had been accelerated. Plus, the surrounding skin was smoother and brighter. Fruit masks are not just for your face. Apply them on your neck, chest and hands as well. Avoid extreme temperatures — hot or cold — when rinsing your skin. Extreme water temps can break capillaries in the face and cause redness. Use a clean face towel when drying your face. Even when rinsed and dried, both bananas and strawberries left a beautifully sweet-smelling aroma on my face that was very pleasing, and preferable to commercial masks laden with preservatives and artificial scents. Give these fruit masks a try! You’ll be pleasantly surprised. Next article1 In 9 Men Have This Disease — Are You At Risk? 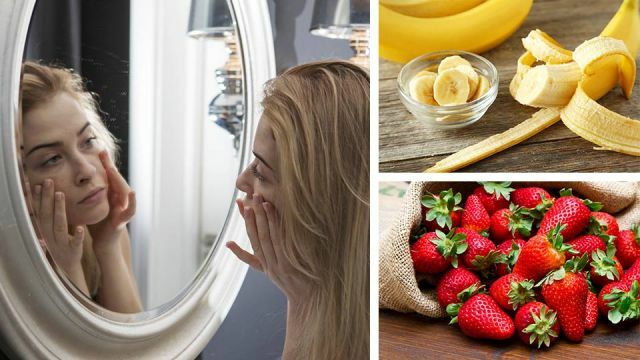 Hey Buddy!, I found this information for you: "I Put These 2 Fruits On My Face For Better Skin — Here’s What Happened". Here is the website link: https://www.thealternativedaily.com/i-put-these-2-fruits-on-my-face-for-better-skin-heres-what-happened/. Thank you.